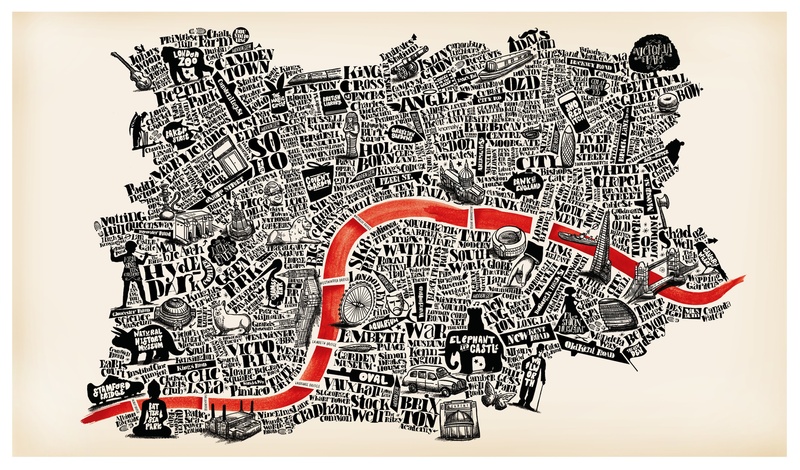 Map of London by London-based Brazilian graphic artist João Lauro Fonte. As we begin in the fall with texts such as Mary Barton (English 3481) Great Expectations, and Jekyll and Hyde (English 4555), we’ll want to think about the hold that urban topography has on the nineteenth century cultural imagination — and on our own — as we read through these novels. In the winter term, the same can be said of a novel such as Gissing’s In the Year of Jubilee (English 4485). Stoker’s Dracula and Hardy’s A Laodicean (English 4485), like all of Hardy’s Wessex novels, likewise point us toward the powerful link between maps and the imagination. This Globe and Mail article on “The Enduring Power of Maps” is a great way to get us thinking about this.